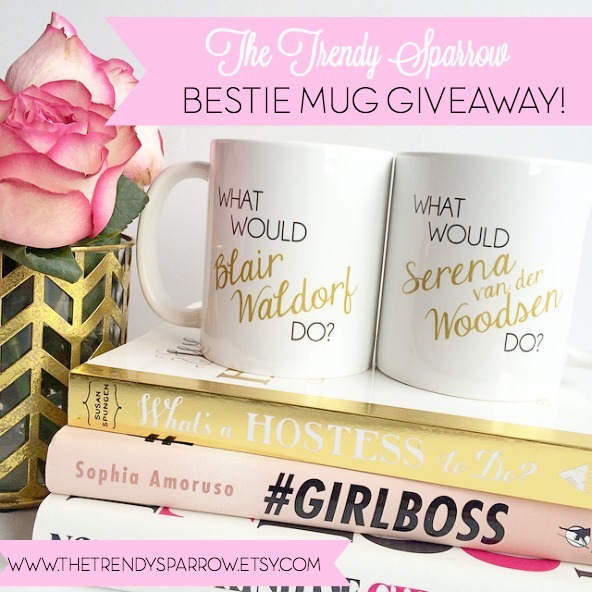 The Trendy Sparrow: BFF Mug Giveaway Winner Announced! 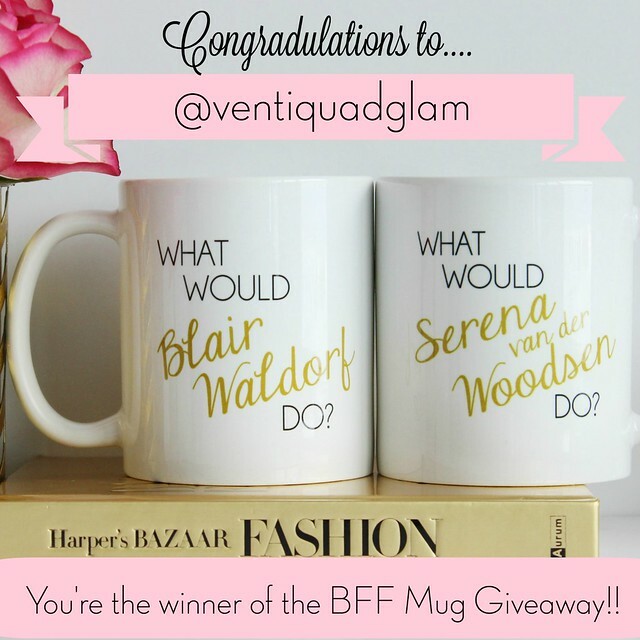 BFF Mug Giveaway Winner Announced! I had such a fun time with this giveaway! Thank you so much to all of the fabulous and wonderful people who entered our BFF giveaway via instagram!! If you didn't win, you can still buy the matching Blair and Serena mugs on my Etsy Store. Don't forget to follow me on instagram to keep up with all my future sales/giveaways! tag it using the hashtag #thetrendysparrow! For more inspiration, you can check out my Pinterest Board, What Would Blair Waldorf Do.